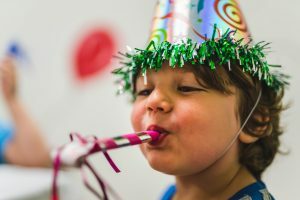 Birthday Party Places Kansas City | Book Birthday Online Get $5 Off! 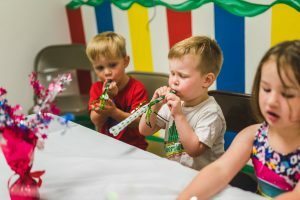 Emerald City offers one-of-a-kind parties we know you and your kids will love! We have several party options, with the general information listed below. Open the Birthday Brochure for more details. 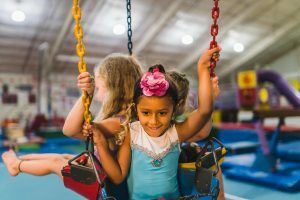 Families enrolled in classes receive a birthday party discount! Find the type of party you’re interested in from the list below and choose your preferred time slot to book online. Perfect party for children walking through Kindergarten. Parents supervise activities during Parent-Tot open play. After playtime**, you will celebrate for 30 minutes in your party area. We take care of the cleanup! Click on a day and time slot below and fill out our registration form to book your party. Recommended for ages 4 to 7 years old and is designed for 10 to 15 children. Your personal enthusiastic party coach will keep your guests together and spend 60 minutes leading them through all the exciting activities. After playtime, you will celebrate for 30 minutes in your party area. Your coach will assist in the party area and finish with all the cleanup! Recommended for ages 8 to 12 years old. Open Play Parties are 90 minutes of open play under the supervision of trained staff. After playtime, 30 minutes will be reserved for celebration in the party area. Our staff will clean up afterward! Click on a day and time slot below and fill out our registration form to book your party. We do host FUNdraisers for local schools and organizations during these sessions. Click HERE to check the FUNdraiser calendar. Recommended for ages 8 to 12 years old. This Open Play party is 60 minutes of open play under the supervision of trained staff. Recommended for ages 9 to 12 years old. 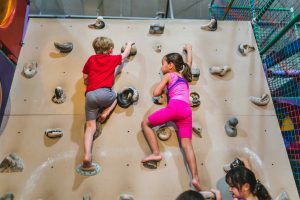 Combo parties include 90 minutes of Open Play and Monster Mountain (5,000 sq ft rock wall) with the assistance of trained staff. After playtime, 30 minutes will be reserved for celebration in the party area. Our staff will clean up afterward! Have exclusive use of the gym! Children of any age are allowed to participate, and adults are welcome to be on the floor to observe. Must be scheduled around public activities. For pricing and availability, please fill out form on our Private Events page or contact Sean at (913) 438-4444. We will take care of EVERYTHING! Large birthday cupcakes with candles, juice boxes, plates, napkins, and treat bags for everyone! $50 for the first 10 kids, and $5 for any extra’s. The base party price is due when scheduling your party. This payment is NON-REFUNDABLE. If your party can be rescheduled, there is a $25 fee to change time or date. Upon payment, you will receive a confirmation packet which includes invitations/release forms. Every child must have a completed release form to participate. If there are multiple birthday children, an additional $5 charge will be added per birthday child for their t-shirt.